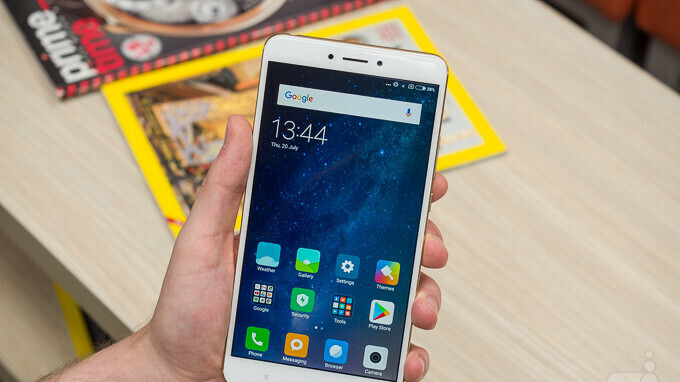 It's been exactly one year since Xiaomi unveiled the Mi Max 2, but the sequel to the phablet is likely to be announced slightly later than we've been used to. Apparently, the Mi Max 3 will be officially introduced in July, which means it will probably be launched on the market a month later, in August. Last year, the Mi Max 2 made its debut on the market in June, so we would have expected Xiaomi to reveal the Mi Max 3 around the same time, but that's not going to happen. Even though Xiaomi has a launch event this month, the Chinese company won't announce the Mi Max 3. Instead, Xiaomi's CEO, Lei Jun said the phablet is not yet ready for prime-time and that the Mi Max 3 will be introduced sometime in July. According to the latest leaks, Xiaomi Mi Max 3 will be packed with mid-range specs, such as a Snapdragon 636 processor, 3GB RAM and 64GB internal memory. The smartphone will come in different variations depending on the amount of memory, but a version powered by a Snapdragon 660 CPU may be introduced as well. Still, the highlights of the Mi Max 3 are likely to be the huge 7-inch FHD+ display and the dual-camera setup on the back. Those who can't wait for the Mi Max 3, can buy the Mi Max 2 right now, Lei Jun said in a post on Weibo. But if you really want the upcoming Mi Max 3, you'll have to wait for at least two more months. Well only 7 midrange devices are left to get unveiled Mi Max 3,MI A2,Z3 play,X5 (if it happens),midrange pixel,Nokia X5/6/7 for global version.Mi Max 3 has to get USB port C,NFC,3.5 Jack onboard this time with MIUI 10,9 base on oreo 8.1.I might buy this device over note 5 pro. Don't forget, if the rumor about Sony Xperia codenamed H44xx (H4413) released next quarter (Q3 2018) as XA2 Plus become true, it could count as well. Mi A2 aka Mi 6X is already unveiled and already on sale. Personally the mid-range category is very strange, since for the same price you can buy a brand new last-year top-tier model that'll blow any of this mid-rangers out of the water like a Samsung S7 or even S8. Eh I'm looking and that's not the case. U still have to pay $500 for last year flagship unless u go used or refurb. Article didn't said about price, they write "mid-range specs" which suit that SD636/660, 3GB RAM and 64GB storage. And about price, Mi Max (2016) launch price is ~$170, Mi Max 2 launch price is $200, and I'm sure Mi Max 3 will be less than $250.. Did I can get Samsung S7 (or even S8) at that price? S8 is still above 600USD, thats double the price of most mid-rangers. S7 is rubbish. but does any of phones u mentioned come with a 7 inch screen? if it works in the u.s. with tmobile, i am buying one, maybe two...midrange phones does everything i need. i like the size of the blu studio 7 lte, but the phone lags big time with just 1gig of ram LOL...have been waiting on a 7 incher that has more than 1gb of ram (atleast 3) and 8/16gb (atleast 32) of storage.